Quesadillas are quick, tasty and simple to make, great for appetizer, main dish and even breakfast. Prosciutto is one of my favorite ingredient, I really missed its salty taste, the last time was in May 2009 with Zucchini Prosciutto Sandwiches, it has been almost a year that I haven't touched it. I still have half a jar of sun-dried tomatoes left from the Mediterranean Rolls and cheddar cheese. This combo gives an amazing taste. 1. In a skillet, melt butter or margarine over medium heat. Place a tortilla in the skillet and cook for 30 seconds per side. Set aside and repeat with the second tortilla. 2. 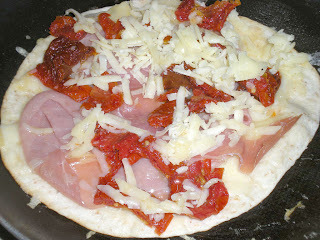 On the tortilla, layer half of the cheese, prosciutto, sun-dried tomatoes and remaining cheese. 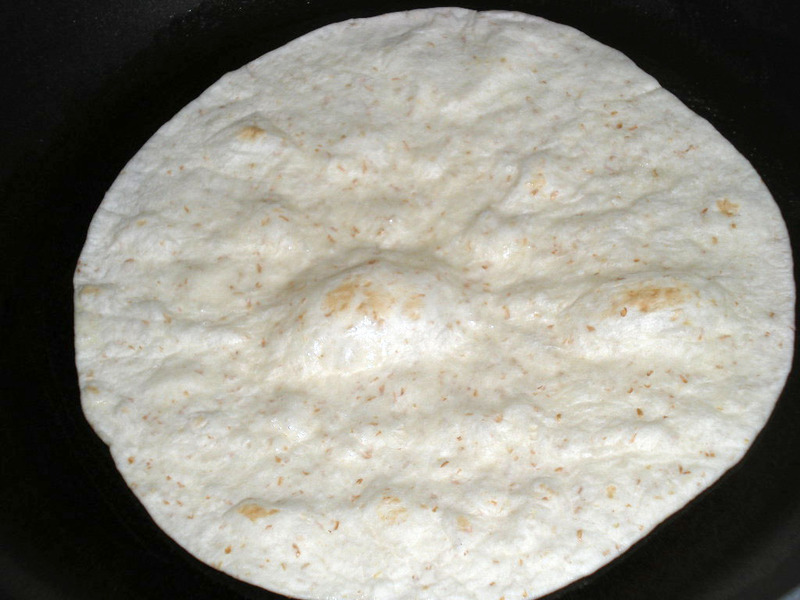 Top with the other tortilla. 3. 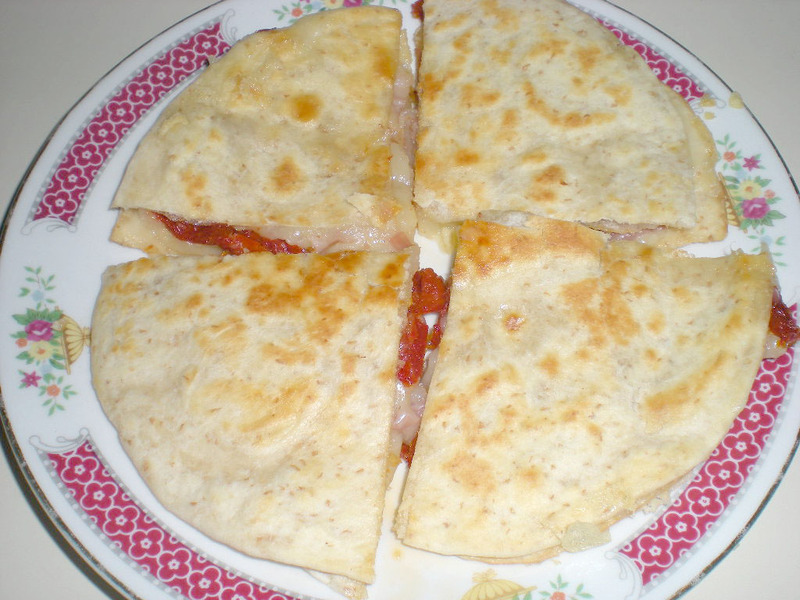 Cook quesadillas until golden brown on both sides and cheese melted, flipping once. I love that there is prosciutto in this recipe! Cheers to your Italian version - I love it! 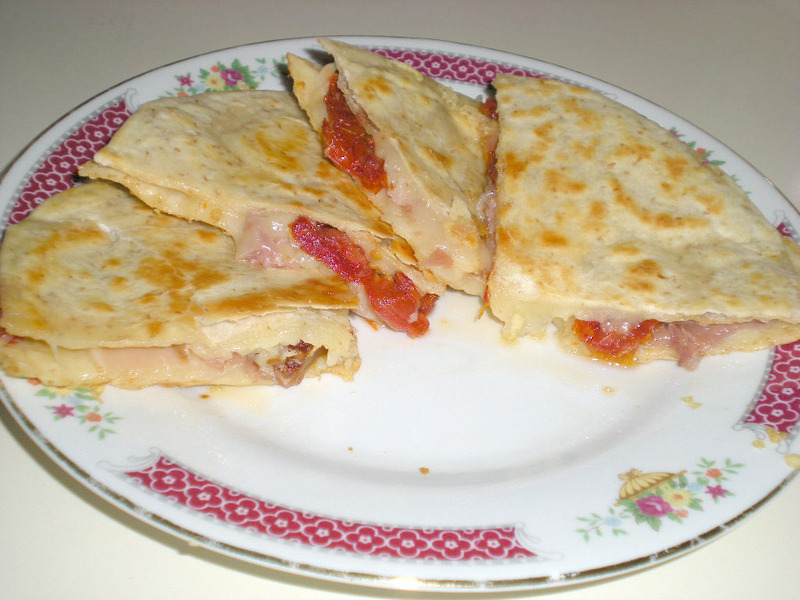 I love quesadillas! I love the Mediterranean twist on this, it's a great idea! Thanks everyone. I can't believe myself that prosciutto and sun-dried tomatoes go well together.